Xterra, long and short course triathlon at all levels. Experience at all distances and levels, first-timer through elite. Full-time Coaching: Unlimited email and phone contact, full-service training plans utilizing perceived effort, heart rate, and power data, and performance and goal feedback regularly. Week-long camps and short clinics sharing my knowledge of training and racing, preaparing the athlete for specific races. With over 15 years experience as a racer and 10 as a coach, I bring my own racing and training experience to add to my use of generally accepted coaching philosophies. I emphasize quality over quantity, and solid consistency for solid performance gains. 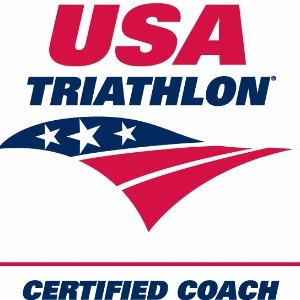 My athletic resume: USAT and an Xterra Regional Champion, Best of the US Nationals, podium in Kona, multi-time USAT All American, All-Air Force Triathlon Team, Duathlon Team USA, Semi-Pro mountain bike champion. My athletes have won world, national, state and regional championships, have gone to Kona and ITU world championships, have gone to Xterra USA and Worlds, and have won many PRs and podiums in many disciplines. They have also been first-time triathlon and Ironman finishers. 5-time National Champion and World Champion Coach. As a part-time Air Force pilot and full-time coach, I understand training under a time crunch and have been successful at developing ways to win with limited time available. Success. Coach Brian Grasky has been notified of your message.